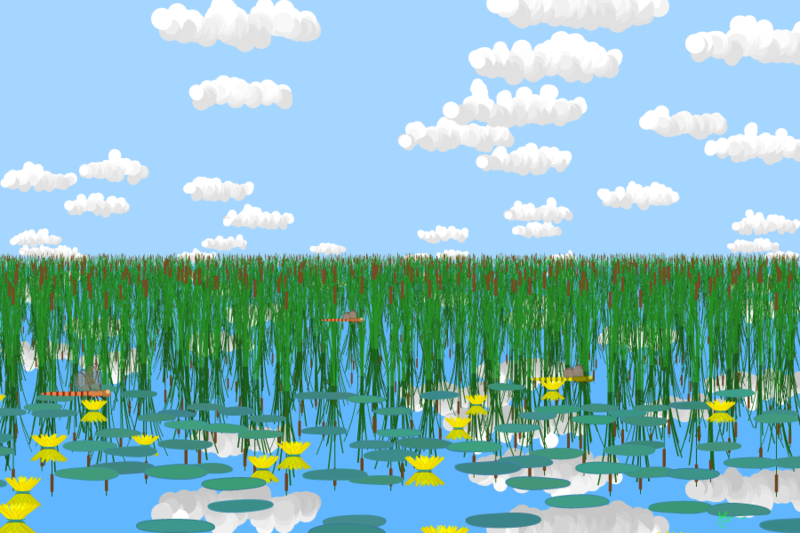 A calm, summery day in a marsh with fluffy fair-weather clouds in the sky. Water lilies are in bloom and colorful dragonflies hover about. You are paddling along in the shallows in your canoe and this is what you see. The sky, the reeds, and the water lilies, are all perfectly reflected in the still water. The transparent dragonfly wings are shown in full see-through detail.